All of these achievements are the tangible results of our commitment to living out our mission – to share God’s love with our community by promoting healing and wellness for the whole person. 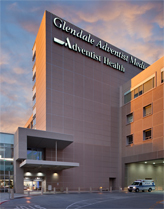 We invite you to consider a career with Glendale Adventist Medical Center. Search our jobs to take the first step.